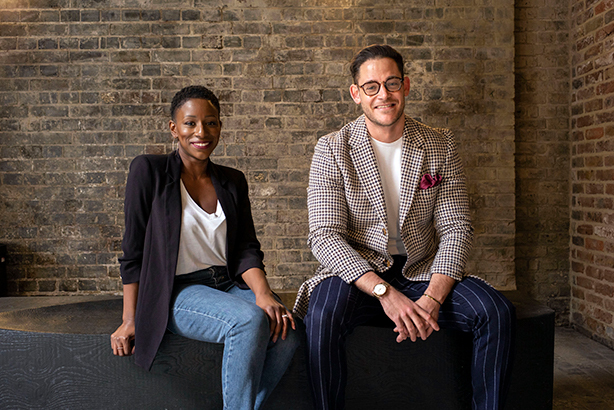 Former Freuds directors Natasha Mensah-Benjamin and Ollie Thomas have set up their own talent agency. Beyond Talent Global specialises in talent and influencer strategies and procurement, on behalf of brands, agencies and events. The pair have over 25 years' combined industry experience, working in PR and talent procurement for organisations such as Freuds, The Outside Organisation and Channel 5, across a diverse roster of clients including PepsiCo, Diageo, Compare the Market, Mars, Lexus and Sky. Since launching, Beyond Talent has formed strategic partnerships and worked closely with a variety of PR and creative agencies including Allison & Partners, Amplify, Burson Cohn & Wolfe, Exposure, Golin, GSP Events, Heart Productions, Talker Tailor Trouble Maker and Text 100. This has included work for brands such as Bistro Bagatelle, Blackberry, Champion, Dexcom, Foxy Bingo, Hippeas, Magnum ice cream, Mastercard and National Geographic. Beyond managing partner Mensah-Benjamin said: "Our experience in the sector, in-depth research around selection and our relationships and insights are of most value to our clients. They allow us to leverage talents and personal passions, and our buying power, to negotiate genuine partnerships based on authenticity and in turn a greater return for their investment." Thomas, who is also a managing partner, added: "Coming from a PR and communications heritage, our aim is to constantly ensure talent and influencer selection is approached from a strategic perspective. We focus on delivering ROI for the client, whilst maximising talents’ commercial output. Our value lies within our ability to closely manage the talent procurement process from concept through to evaluation."